BMW will launch the new 3-Series sedan on July 27 in India. This is the sixth-gen model of the 3-Series sedan internally called the F30 by BMW. The new 3-Series will help BMW pull up its sleeves and compete even more aggressively. It will compete with the Mercedes Benz C-Class and the Audi A4. BMW has put pedal to metal as far as promotional activities for the new sedan are concerned. There is even a teaser website for the 3-Series which the company calls the Ulitmat3. The 3-Series comes with different engine options. The 320i is powered by a 1995 cc, 4-cylinder engine that generates 170 bhp of power and 200 Nm of max torque. It can accelerate from 0 to 100 km/hr in 9.8 seconds and can achieve a top speed of 218 km/hr. The 320d is powered by the same 1995 cc diesel engine but here it produces 181 bhp of max power and 380 Nm of peak torque. The car accelerates from 0 to 100 km/hr in 7.6 seconds and can achieve a top speed of 233 km/hr. The 330i sports is the cream of the crop. It has a 2996 cc, 4-cylinder engine that churns out 255 bhp of power and 300 Nm of torque. It can sprint from 0 to 100 km/hr in 6.6 seconds and reach a top speed of 250 km/hr. The 320i is priced at Rs. 24 lakh, the 320d is priced at Rs. 24.90 lakh and the 330i is priced at Rs. 34.40 lakh. 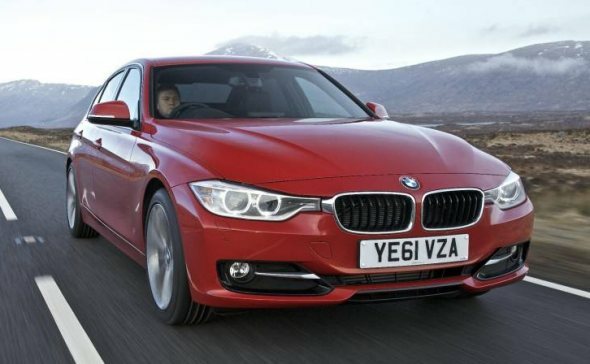 The new 3-Series might be priced similarly or slightly more based on the features it comes with.